Lote 8, Minga Porá district, Alto Paraná--October 29, 2008--When Silvio Peralta was 10 years old, he went outside his family's house one night in the rain and washed his eyes out with water that was running in his yard from the field across the street. The field was a transgenic soybean plantation and Silvio became blinded as a result of the chemical runoff that the water contained. Now 13, Silvio is blind in one eye and sees five feet ahead in the other. 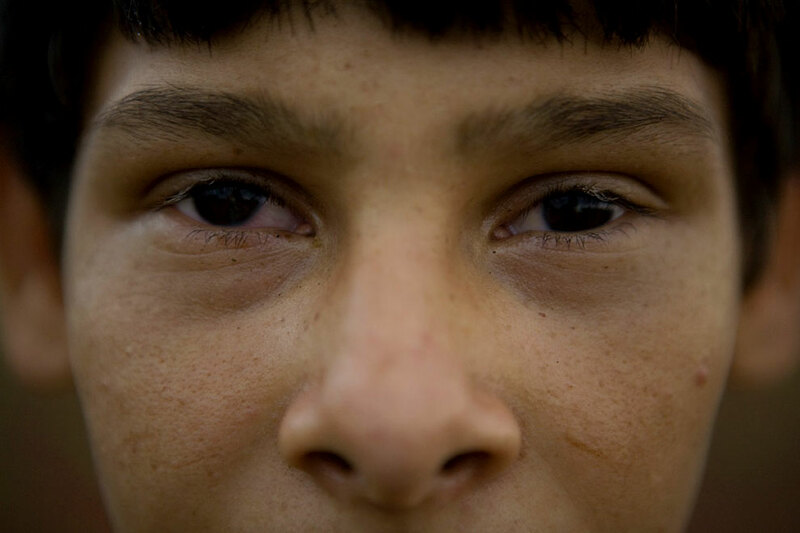 His eyelashes contain streaks of white and according to his neighbors, sometimes his eyebrows turn white as well. He very rarely blinks. Silvio's family is one of the few that remain in Lote 8 after industrial soybean farming took over most of the community. He is unable to continue studies in his rural village as a result of his blindness.